Green Leaf offers professional Christmas light installation service for homes and businesses located in the Tulsa area. No matter what part of town you’re in we can offer you a complete, start to finish Christmas light hanging service. This includes estimates, installation, removal, and Christmas light storage. There are many reasons to hire us and this blog post will list a few of them. Be sure and give us a call today at 918-640-6405 for more information about how we can be your Christmas lights specialists this holiday season. We take pride in our work and we promise to give you a great holiday season starting with the beauty of your home. 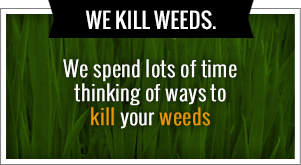 Our website is www.greenleafweedcontrol.com if you have any more information that you need to acquire about our company. Our competitive pricing provides the best value of any Christmas lighting company in Tulsa. We promise to offer competitive prices that are backed up by a quality that cannot be matched. All of our jobs are professionally installed with aesthetics in mind. We always hide extension cords, insure like something straight, and custom fit holiday lights for your home so you have the most beauty possible out of your Christmas holiday lights. We will never charge you more than the estimated price without prior consultation and we promise to always operate with integrity. We been hanging lights in the city of Tulsa for a number of years and we have over 10 years of professional experience when it comes to all lawn care needs. We know exactly what were doing and where going to get it right the first time so you can start enjoying your holidays in a short matter of time. We design our lights using a variety of colors and incandescent bulbs to make sure that you have a beautiful display. Our training competent Christmas light installers are very quick and complete most jobs within a few hours. The take down process is quick as well and we will be out taking your lights down in January or whenever you want them taken down. We have them all removed by the end of the month and there is no need to schedule a removal. It’s time to get expert care from a company that wants to see you have the very best holiday lighting this season. Tulsa Christmas Lights are provided with grace and expertise whenever you use the experts here at Green Leaf. Another way Green Leaf sets itself apart from the competition is by donating to local school districts every job that we start and complete. We have a program called “Cutting for the Kids” which allows us to donate to a school district of our customers choosing whenever they hire us for a project. Giving back to the community is one of the most important parts of our business, and we promise to always operate with integrity and make sure that they school districts in our community are supported. It’s easier than ever to get your holiday lighting needs taking care of by picking up the phone and calling 918-640-6405 today. This Christmas season is filled with joy and excitement over the holiday and getting to celebrate with friends and family is just the beginning. It is never too early to start thinking about how you want to decorate your home for the holidays. You don’t want to get ready for your LED Christmas lights installation at the last minute in any area especially in Tulsa when the winters get really cold. Today’s Christmas lights installed by the experts at Green Leaf are a great quality and will make your home look amazing. You’ll be able to save money during the holiday season and still stirring up the lights you want whenever the professional installers at Green Leaf come out and take care of your home. With your residential or commercial light installations, you don’t need to replace bulbs is often and we will take care of all of the tricky ladder climbing and installation so you can sit back and start enjoying the holiday season early in your beautiful home decorated by our experts. Give us a call today at 918-640-6405 or visit us online for more information about how we can service you and your family today. People like the way it feels to the community filled with decorated houses. They enjoy the driver the walk through the town, seeing the lights, and they want to be a part of it, want to contribute you want to be noticed two. Peace of mind and self-satisfaction are incredibly valuable to us, and we will happily pay for them as human beings, sometimes contributing to the community in order to get them. When you get outdoor Christmas lights decorations provided by Greenleaf you’re going to add excitement and thrills of the holiday season. Everyone loves to drive five houses that are well lit with Christmas lights, and lawns that are decorated with nativities, candy canes, Santa, and animated else. It is a time to be joyous and a time to get help for all of your Tulsa Christmas Lights needs. Ideas in outdoor Christmas decorations include lining walkways and driveways with light states, many Christmas trees, or candy walkway canes, but we focus on installing expert lights on your home so you can shine through the holiday season the Spirit cheer and happiness. If you’re ready to have that beautiful home this holiday season that you’ve always dreamed of, it’s important to give us a call today and talk about a free estimate. We can come out your house and offer you a quick and easy installation that will take care of all your troubles. We are also a responsible company that believes in helping the use in our community. Help us raise $100,000 that were trying to earn for local schools. Every time someone hires us for a new job we donate five dollars to the local school district of our customers choice. It’s a great way for us to make sure that the city of Tulsa looks beautiful and the kids in our community get the support they need and a good place to go learn so they can contribute to the city in the future. 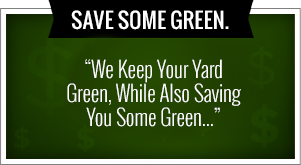 Shop with a responsible company today by calling Green Leaf Lawn.